As we all know.. today is the age of start ups and this is one of its kind. 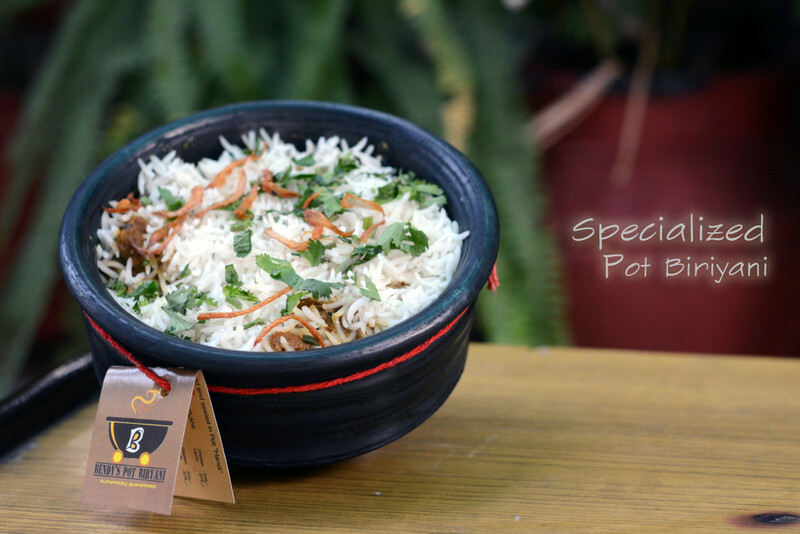 Bendy’s Pot Biryani is a product offered by Bendy’s Kitchen which specialises in making Biryani the way it should be. Our Chef has been trained in Hyderabad , Lucknow and Konkan area of Maharashtra to achieve excellence in the field of cooking Biryani. We at Bendys Kitchen wish to serve you authentic Mughal biryani that used to be prepared by the khansamas in mughal times. Moreover, you can enjoy our vegetarian and non vegetarian delicacies in the same pot in which we will cook them. We offer you biryanis in earthen pots to channelise the taste with proper layers with a touch of authenticity.